Teledyne Hastings designs and build mass flow controllers for a broad array of markets from clean laboratory environments to heavy industrial installations. Recently, they have been asked to provide the newest line of Digital 300 Flow Meters and Controllers into more demanding environments. And, we are proud to let you know that is now available an optional IP-67 enclosure, which provides protection against dust and water. 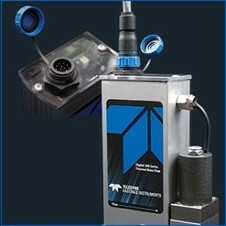 Which now brings us back to the Teledyne IP-67 rated enclosure. The first number, “6”, indicates that our enclosure is completely protected against dust. The second number, “7”, indicates that the instrument can withstand submersion in water up to a meter in depth for up to 30 minutes. In any case, THI have passed both the dust and water test and now you can have the accuracy and fast response of the Digital 300 Series in an IP rated enclosure.